is very popular in shopping malls, it provides the customers with eyebrow threading service, henna, facial treatment etc. 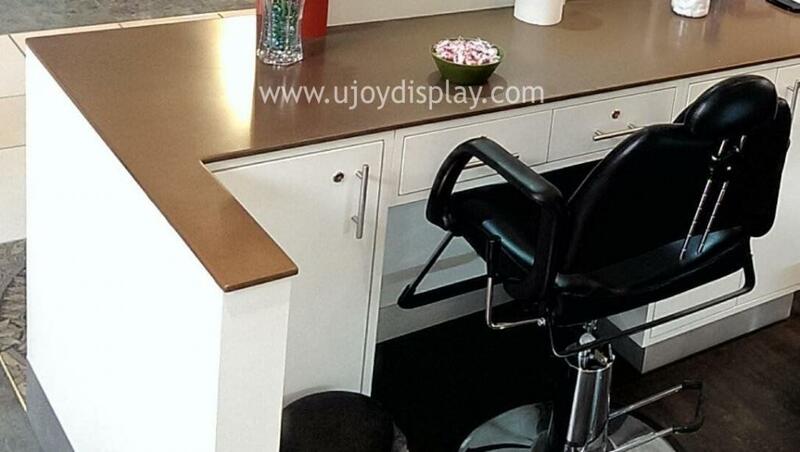 As experienced eyebrow bar kiosk designer and manufacturer, Ujoy Display helped many clients to custom design and produce the eyebrow bar kiosks. As eyebrow bar kiosk is located in the shopping mall, so many shoppers walk around the eyebrow bar. It is kind of embarrassed when others stare at the customer in the kiosk. So many eyebrow kiosks are designed with higher display counter, mirror wall. The colors of eyebrow bar kiosk is very important, because it targets the female customers, more bright colors are used in the eyebrow kiosk design. Red, pink, orange, blue, and purple are very attractive and encourage the consumers to experience the beauty service. The eyebrow threading service or facial treatment may take 30 to 60 minutes, so the confortable threading chairs are very important. Customers feel more relaxed with a well-designed chair and more leg space under the table. Not like regular display cabinets, the countertop of eyebrow bar kiosk should be more durable and anti-scratch. It is because many beauty tools are used during the service. Artificial stone are cost-effective material for the countertop of eyebrow bar kiosk. More drawers are needed in eyebrow bar kiosk instead of large stoarge cabinets. It is because most are small items like beauty tools, so the drawers are better to organize the storage space. Usually there is one or two showcases to display relative makeup items, like eyebrow pencil, eyeliner, false eyelashes, eye shadow etc. 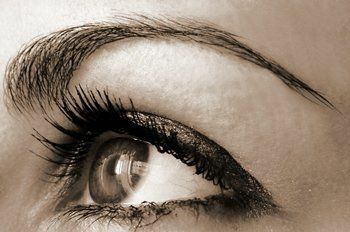 If the customers are satisfied with eyebrow beauty service, it is much easier to sell the relative eyebrow products. If you are looking for a custom eyebrow bar kiosk with unique design and quality production, welcome to contact us freely at sales@ujoydisplay.com or Skype at ujoydisplay for one-stop custom solution.